While resources such as the Internet Archive Wayback Machine provide permanent records of many websites, the service is not 100% complete, and regardless, images removed from the web will no longer appear on websites like The Brothers Brick. Approximately 93% of the LEGO creations featured here on TBB over the past 13 years were originally shared on Flickr, and many LEGO builders would rather spend their money on more LEGO than on Flickr Pro accounts. When Josh and I started The Brothers Brick back in 2005, we never imagined that we were building one of the world’s largest LEGO fan communities, with over half a million followers today. We also couldn’t have imagined that our website would feature nearly 14,000 LEGO creations over the next 13 years, becoming an archive of many of the best fan-built LEGO creations of the past decade. Most major non-LEGO websites host 100% of their images on their own server infrastructure, ensuring continuity for the content that they’ve featured as well as ensuring that they’re not overloading the servers of the sites where they may have originally sourced an image. Trustworthy news websites also ensure full and proper attribution for any image that they use. We can’t emphasize enough how important proper attribution is, and TBB has always led the way among websites that cover LEGO — we always name the builder and link to their online profile, each image links to the builder’s own image page, and so on (an approach that’s not always followed by major geek/tech websites and even news organizations when they pick up a viral LEGO creation). While TBB has always ensured we properly credit the photographers, artists, and builders we feature, we haven’t been in a position to follow the best practice of “self-hosted” images due to the high cost of permanently hosting so many files. 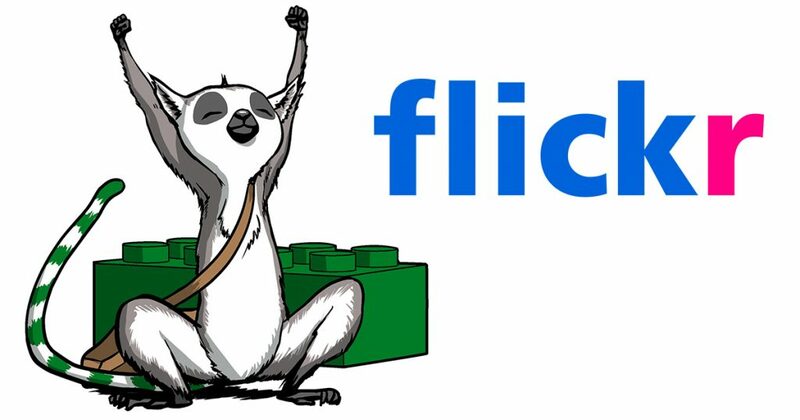 This was compounded by the very purpose of websites like Flickr, as well as dedicated LEGO image-hosting sites like MOCPages and Brickshelf, which were designed to host images, with convenient sharing features intended to enable images to remain hosted on the original website. This meant that small-scale websites like TBB (at the time) never had to concern ourselves with re-hosting those images. But as Brickshelf’s long-term viability was called into question back in 2007 and MOCPages has continued to run into stability and security issues over the years, it became increasingly clear that TBB needed a long-term strategy to ensure the many amazing LEGO creations we’ve featured remained online should the photo or the entire image-hosting website go offline. This need became even more urgent in 2018 when SmugMug acquired Flickr and announced the reduction in free hosting services for non-paying members. As soon as SmugMug announced the Flickr account changes, we began working on a technical solution that would migrate externally hosted images onto TBB’s new server infrastructure while retaining all attribution, links, and other key details about the image. In other words, we wanted to move where the photo file is stored without affecting the actual content surrounding it (again, including attribution and links). This change is not without increased cost to TBB. But thanks to the generous support of sponsors who are equally invested in the LEGO fan community, such as BrickLink, Brickmania, and Citizen Brick, we’re now able to offset the increased cost in order to guarantee continuity for the community that we’re all a part of. Today, we’re pleased to share that the image file migration across more than 25,000 photos and 13,500 articles is now complete. Similarly, all LEGO creations we feature going forward will also be safe and sound regardless of what happens to the website where they may originally have appeared. As long as The Brothers Brick remains online, our archive of the best LEGO creations created by builders around the world will also remain online. This change to TBB will effectively be invisible to most of you reading this (unless you habitually view an HTML page’s source code or an image file’s properties). Whether that photo was first shared on Brickshelf, MOCPages, Flickr, Instagram, or wherever, this change ensures that future readers will be able to enjoy our archive of the best LEGO models for years to come. You guys are the best! Congrats and thank you! Going above and beyond, this is brilliant. Great news! TBB, thanks for your hard work behind the curtains ins thanks to all sponsors helping to cover the costs! Thank you so much. I’m a big fan of TBB!! Millions of thanks to everybody who worked so hard on this, TBB is the best! Wow, this is really cool. Thanks, all. Thanks for everything you do. The inspiration I’ve gotten from this site cannot be overstated. Thank you for all the hard work in doing this! It’s a relief knowing that all the works featured on TBB throughout the years will still be able to be seen, whatever happens after the new year. When I read the article title, I thought to myself, this is something I will support [with money], however, I see that’s not necessary! If TBB ever does need more money for hosting photos, please let us know! !